Description: Darice Studio 71 Tracing Pads are perfect your drawings, sketches and other creations with this quality translucent tracing paper. This medium surface paper is excellent for sketching in pencil, marker and ink. Sketch, layer, overly, correct-numerous fine and commercial art uses. 9 x 12 in. Lightweight - 25 lb. Medium Surface. 100 sheets. 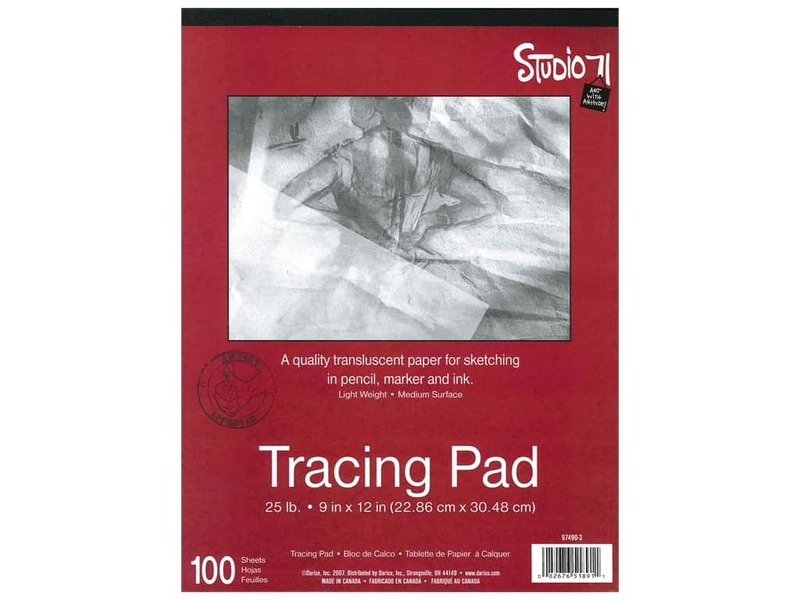 Darice Studio 71 Tracing Pad 9"x 12" 100 Sheet 5.00 out of 5 based on 2 ratings. 2 user reviews.